There's nothing like throwing open a big window and letting in the breeze or watching the light from the rising sun dance across the floor. When windows work properly, they can make your home a truly special place -- but when things go wrong, they can be a real headache. 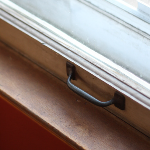 Review the guides below for important things you need to know about window function and form, including fixes for common issues. Which part, exactly, is the sash? What's glazing? Learn about common hardware, types of glass, frames, materials and coatings that make up a typical window. You might be surprised by how many different types of windows there are -- and how important choosing the right one can be. 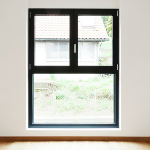 Explore our guide to different kinds of windows, types of latches and recommendations on which windows work best in specific situations. 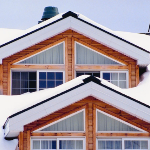 Low-E coatings, multi-pane windows, gas fill, warm-edge spacers and advanced frames -- all come together to keep the summer heat or winter cold outside and maximize your home's heating, ventilation and air conditioning systems. Privacy glass offers a solution when you want to let in light, not wandering eyes. Eager for a nice breeze, but want to deter an intruder? Install security features. Concerned about the neighbor's triplets' baseball games? 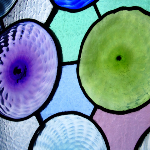 Safety glass may be in your future. Understand your options for addressing special window needs. Walls can stand their own against storms, flying debris, bugs, pests and other forces of nature. Windows need a little help. 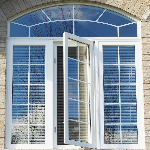 Find out what you can do, from installing replacement storm windows to adding screens and shutters, to protect your view. If you've got an old home with beautiful, antique windows, the upkeep can be daunting, the repair complex, the weatherizing difficult and the replacement out of the question. 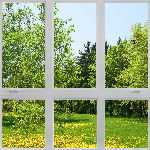 Check out some easy ways to make your old windows work like the newest and look the part. 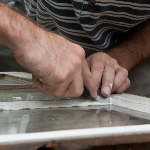 From fixing a broken or rotted-out windowsill to handling stuck windows and hardware issues, this guide covers the tools, materials and skills required to complete the task. 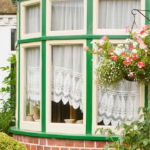 Learn some quick tricks for window upkeep and maintenance.